If you're into extreme sailing, you know the Volvo Ocean Race is the pinnacle for adventurous seafarers. Here’s a priceless opportunity to spend time with a legend as he gets ready to circumnavigate the globe in the race. Rhode Islander Ken Read, America's Cup sailor and winner of more than 40 yachting championships, invites you and a guest for a day on Rhode Island Sound, aboard the new Rhode Island-built boat he and the PUMA sailing team will take on the round-the-world Volvo Ocean Race in July. It's a real Rhode Island trifecta! 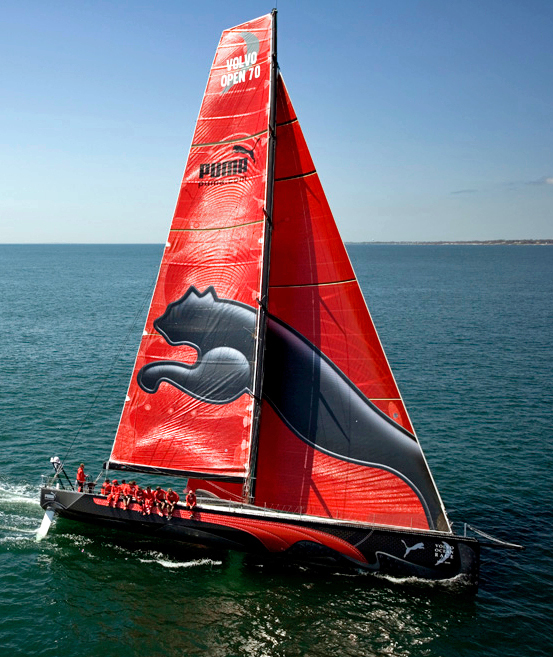 Captain Read and the PUMA team are serious contenders for the title in the next Volvo Ocean Race. They came in second last time (2008-09), but intend to move up aboard PUMA’s new craft, the Mar Mostro, built at New England Boatworks in Melville (Portsmouth). This training day for the winner and a guest is estimated to last three hours and will be on a mutually-agreeable date before July third. The value of this once-in-a-lifetime experience is estimated at $3,000.00. To make your best offer, e-mail auction@ripbs.org, or call 401-222-3636 x327. Many of us who are north of age 45 acknowledge (although perhaps reluctantly) signs that what we did or what we neglected to do in our youth are now exacting their toll. Stiff joints, painful posture, and pudgy middles remind us that good health takes deliberate thought and action to maintain flexibility, manage pain, and proper weight. On Saturday, June 4, beginning at noon, WSBE Rhode Island PBS presents three special self-help programs back-to-back, to introduce innovative yet practical information: Easy Yoga for Arthritis with Peggy Cappy at noon, Stop Back Pain with Vijay Vad, M.D. at 1 p.m., and 3 Steps to Incredible Health with Joel Fuhrman, M.D. at 2:30 p.m. Presentation of these programs is part of WSBE's fundraising and membership drive. Please support the programming you enjoy. Join or renew today! Easy Yoga for Arthritis with Peggy Cappy is a fabulous anti-stress yoga sequence, presented in her gentle style that everybody can do. Arthritis is the leading cause of disability in the US, affecting some 37 million people. In the 1-hour program, Peggy shows how yoga can relieve stiffness, reduce pain and fatigue, and improve muscle and bone strength. It is no secret that chronic back pain is a huge medical issue for individuals who suffer it, for a health care system that suffers with it, and for the economy, which suffers from it through lost productivity (back pain is one of the most common reasons for lost days of work). Chronic pain is a very democratic health issue, affecting men and women, athletes and couch potatoes, laborers and CEOs, rural and urban dwellers, those who do the heavy lifting and those who manage the heavy lifters. A visit to the doctor for back pain is the second most common reason for office visits in the U.S.
Stop Back Pain with Vijay Vad, M.D. will empower chronic back pain sufferers with the medically-proven information and insights that he provides to his patients--the celebrity superstar athletes and regular folks, who are connected by the shared agony of spine dysfunction. Dr. Vad's clinically-proven approach, integrating the best of Western and Ayurvedic medical approaches, has changed the lives of thousands of people, and returned them to full function. Dr. Vad is an expert in chronic pain, and half of his practice is devoted to chronic back pain issues. He has researched back pain extensively, publishing many articles for peer review on the subject. He continues to develop more effective treatments for back pain with his clinical research, combined with a biotechnology company he founded called Mobiech, and a research foundation called the Vad Foundation which funds innovative research in back pain and arthritis. 3 Steps to Incredible Health! with Joel Fuhrman, M.D. directly addresses the crisis of obesity and chronic disease plaguing America. More than 65% of Americans are overweight or obese - and that number is growing. 3 Steps to Incredible Health! with Joel Fuhrman, M.D. offers a healthy, effective, and scientifically proven plan for shedding weight quickly and reclaiming vitality and good health. Dr. Fuhrman shares his revolutionary program to prevent and reverse disease through nutritional and natural methods. His 3-step plan addresses the power of micronutrients, eliminaing food addictions, and superfoods for health and pleasure. Dr. Fuhrman's plan is not about will power, it about knowledge. WSBE Rhode Island PBS transmits over the air on 36.1, and is carried on Cox cable 08/HD 708, Verizon 08/HD 508, Full Channel 08, Dish 7776, DirecTV 36, Comcast HD 819; Massachusetts subscribers of Comcast standard definition should check local listings for channel designation. WSBE Learn transmits over the air on 36.2; on cable in Rhode Island, it's Cox 808, Verizon 478, and Full Channel 109; in Massachusetts, Comcast carries WSBE Learn on 294 or 312, depending on your location. FREEDOM RIDERS, part of the American Experience series, is the powerful harrowing and ultimately inspirational story of six months in 1961 that changed America. From May until November 1961, more than 400 black and white Americans risked their lives—and many endured savage beatings and imprisonment—for simply traveling together on buses and trains as they journeyed through the Deep South. Deliberately violating Jim Crow laws, the Freedom Riders met with bitter racism and mob violence along the way, sorely testing their belief in nonviolent activism. From award-winning filmmaker Stanley Nelson (Wounded Knee, Jonestown: The Life and Death of Peoples Temple, The Murder of Emmett Till) FREEDOM RIDERS features testimony from a fascinating cast of central characters: the Riders themselves, state and federal government officials, and journalists who witnessed the Rides firsthand. 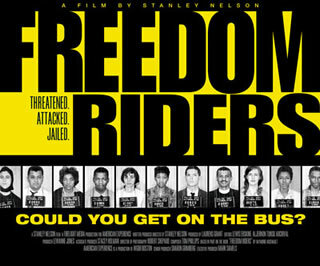 The two-hour documentary is based on Raymond Arsenault's book Freedom Riders: 1961 and the Struggle for Racial Justice. FREEDOM RIDERS will air on WSBE Rhode Island PBS on Thursday, June 11 at 9 p.m. and again on Saturday, June 4 at 1:30 a.m.
Click here for the Web site. On Sunday, May 29 - the day before Memorial Day - WSBE Rhode Island PBS presents three programs in honor of those who nobly served and survived, and those who courageously fell. Click here for more information about the Honor Flight Network featured in the film. Finally, at 11 p.m., WSBE features Rhode Islander director Tim Gray's moving and local story, D-Day: The Price of Freedom. This story captures the emotional reunion of five World War II veterans from Rhode Island as they travel together to Normandy, France, 60 years after surviving the invasion. Jim Karpeichik was the film's cinematographer. D-Day: The Price of Freedom will also air the night before, Saturday, May 28 at 7 p.m., as part of WSBE's series Rhode Island Stories. This week on A Lively Experiment, Friday, May 20 at 8:30 P.M., with rebroadcast Sunday at noon on WSBE Rhode Island PBS, and Saturdays at 7 PM on WSBE Learn. A Lively Experiment now airs on Friday nights at 8:30 P.M., with rebroadcasts still on Sunday at noon on WSBE Rhode Island PBS, and on Saturdays at 7 PM on WSBE Learn. Bloggers and Reporters Ponder "Journalism and New Media"
In the uncontrolled - and uncontrollable - world of Internet mass communication, the twisting branches of the modern grapevine are electronic pulses instead of whispers. The bunches of fruit are clusters of followers on social networks: blogs, Facebook, Twitter. "Likes," "shares," and "re-tweets" are the new shoots that help the grapevine thrive and spread. But what about the root system of this new, sophisticated grapevine? How can the public be confident that a source of news and information is trustworthy? What is fact, what is opinion, and what is opinion disguised as fact – and how can one tell the difference? What are the challenges, opportunities, and foreseeable future of traditional news outlets? If, online, everyone is an opinion columnist, what happens to "news reporting" – that essential service of objectively presenting verified facts, without interpretation, analysis, or slant? Has the casual tone and spontaneity of online communication replaced the high standards of journalistic integrity? Barbara Meagher, associate professor of journalism at the University of Rhode Island and former television investigative journalist, hosts a panel of five New Media writers and entrepreneurs, as well as crossovers from traditional journalism to the blogosphere, in the WSBE production JOURNALISM AND NEW MEDIA. The program, taped before a studio audience of students in the political science and journalism programs at the University of Rhode Island, airs on WSBE Rhode Island PBS on Wednesday, May 25 at 8 p.m., with re-broadcasts on Friday, May 27 at 12:30 a.m. and Sunday, May 29 at 2 p.m. JOURNALISM AND NEW MEDIA also airs on WSBE Learn on Sunday, May 29 at 8 p.m., as well as Monday, May 30 at 3:30 a.m., and Tuesday, May 31 at midnight. The discussion during the first half of JOURNALISM AND NEW MEDIA among panelists Joshua Fenton, Froma Harrop, Dan Kennedy, Ted Nesi, and Gregory Sullivan, spans a range of topics and challenges, including the differences between new and traditional media, viability of print media, the public demand for instant and constant access to news and information, ethics and fact verification, “citizen journalism,” writing and reporting standards, and media bias. In the second half of the program, URI students step up to the microphone to ask the panelists an array of probing questions about how new media is affecting politics and journalism. Joshua Fenton is co-founder of the news and information Web site, GoLocalProv.com. With experience in politics, government policy, advertising, marketing, and public relations, Fenton is recognized for his special expertise in developing integrated communications. His awards for advertising and marketing excellence include a CLIO award, a Bell Ringer award, and recognition for one of his spots on the ABC television program "America's Best Commercials." Froma Harrop is a nationally syndicated opinion columnist and member of The Providence Journal editorial board. A Loeb Award finalist for economic commentary, Harrop was honored by the National Society of Newspaper Columnists. New England Associated Press News Executives Association has named her for five awards. Dan Kennedy is an assistant professor at Northeastern University's School of Journalism, contributing writer for the Boston Phoenix, and a regular commentator on media issues on WGBH's “Beat the Press.” His blog, Media Nation, boasts the following review by the Boston Globe: "Dan Kennedy... exercises the blogger's imperative to bloviate beyond his expertise." Ted Nesi covers politics, money, and media for wpri.com, since joining the Eyewitness News team in July 2010. Nesi started his career a reporter and columnist at The Sun Chronicle in Attleboro, and was a reporter and online editor at Providence Business News. Nesi is the winner of two New England Press Association awards and was a fellow at the Metcalf Institute for Marine and Environmental Reporting in 2009. He has also written for The Providence Journal and PBS.org. Gregory V. Sullivan is the former corporate counsel for the New Hampshire Union Leader, an instructor at the Nackey S. Loeb School of Communications, and an adjunct faculty member of Suffolk University Law School where he lectures about First Amendment issues and media law. WSBE Rhode Island PBS transmits over the air on digital 36.1; on Cox 08 / 708HD, Verizon 08 / 508HD, Full Channel 08, Comcast 819HD (check local Comcast listings for standard definition channels); on DirecTV 36 and Dish Network 7776. WSBE Learn transmits on digital 36.2; on Cox 808, Verizon 478, Full Channel 109, Comcast 294 or 312. WSBE Learn transmits over the air on 36.2. On cable, find Learn on Cox 808, Verizon 478, Full Channel 109, Comcast 294 or 312. Rhode Island has a love, respect and pride in its beautiful Narragansett Bay. We play in it, live around it, and depend on it for many a livelihood. Awareness of this natural treasure - and the hard work it takes to keep it pristine - is due in part to the local organization, Save The Bay. 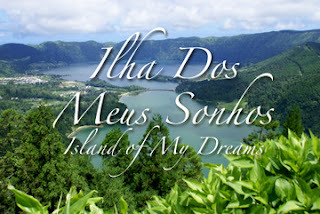 Starting this week, for the next four Wednesdays (May 11 through June 1), at 10 p.m., WSBE Rhode Island PBS will air a series about another beautiful bay, one all the way across the continent. Comprehensive and timely, BEYOND THE LIGHT SWITCH adds a much-needed and balanced perspective to a national energy debate that will surely become more heated and more critical than anything since health care. BEYOND THE LIGHT SWITCH airs at 8 p.m. on Wednesdays, May 11 (Part 1) and May 18 (Part 2), with re-broadcast at 12:30 a.m. on Fridays, May 13 (Part 1) and 20 (Part 2). WSBE Rhode Island PBS transmits over the air on 36.1, and is seen on Cox cable 08/HD 708, Verizon 08/HD 508, Full Channel 08, Dish 7776, DirecTV 36, Comcast HD 819; Massachusetts subscribers of Comcast standard definition should check local listings for channel designation. By 2050, America must completely transform its entire electrical infrastructure, a challenge equal to the mobilization efforts for World War II. To do this, we must rebuild most of our existing electric power plant infrastructure, cut carbon dioxide emissions by 80%, and completely update our power grid – while simultaneously accommodating an expected thirty percent increase in demand. Our modern lives depend upon electricity. But what is the answer? Renewables? Coal? Natural gas? Nuclear? A super grid? It's a complicated and confusing issue for almost everyone. 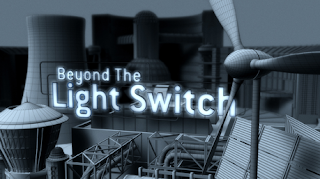 Hosted by Scientific American Magazine's David Biello, and guided by an independent advisory panel, BEYOND THE LIGHT SWITCH lays out the energy facts and conundrums facing all of us. Shot on location throughout the United States and featuring interviews with government leaders, industry experts, researchers, innovators, environmentalists, utilities, journalists and authors, BEYOND THE LIGHT SWITCH thoughtfully explores the trade-offs of carbon capture and storage, hydraulic fracturing for natural gas, a nuclear renaissance, the costs of solar power, the sprawl of wind power, and the feasibility of a super grid. Retired Rhode Island Supreme Court Chief Justice Frank Williams and University of Rhode Island History Professor Emeritus Maury Klein briefly discuss Rhode Island's role in the Civil War, in this short, information-packed video. Your comments (as always) are welcome! The studio is set, dressed, and lit. The items are lined up backstage, tagged and ready, waiting for their cue to make their television debut. The 2011 Rhode Island PBS Spring Auction starts at 7 p.m. tonight. The Auction continues through Saturday. For all the activity you see during the show, the first night of live auction is especially busy behind the scenes - and it starts hours before the red lights on the TV cameras start glowing. Friends who have joined us for this annual event each year for decades will reunite, sharing hugs and handshakes. New volunteers will feel as welcome as family. They will chat over dinner, receive assignments and brief training, then man the laptops and phones, or boards and tables, with the confidence that their effort, their time, their dedication are important and appreciated. And they will have fun! Tune in tonight at 7 p.m. for the excitement and (very) organized chaos of opening night of the 2011 Rhode Island PBS Spring Auction. Follow the bidding action online. generously donated by your New England Toyota Dealer!